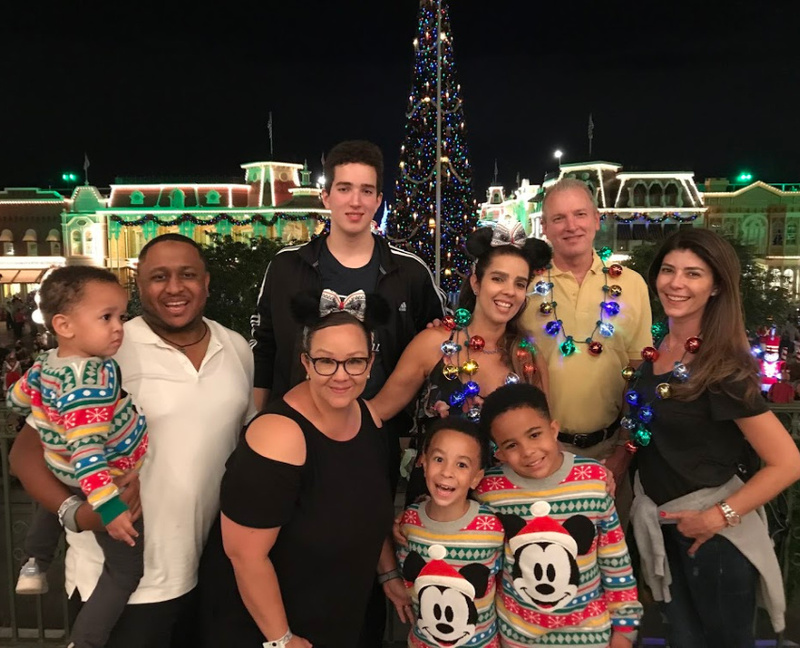 We were recently invited to experience the magic of the holiday season as a guest of Walt Disney World Resorts! 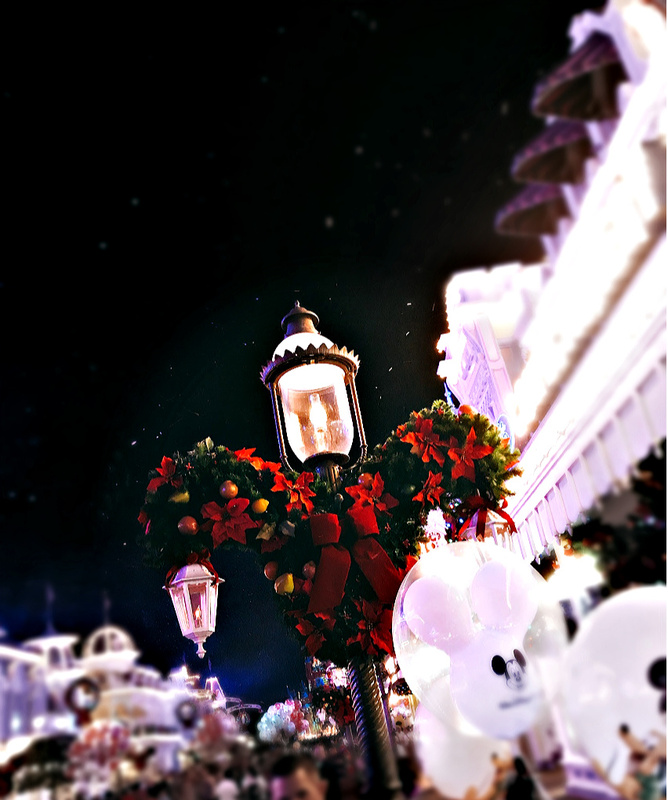 When we enjoyed an unforgettable experience at Mickey’s Very Merry Christmas Party! 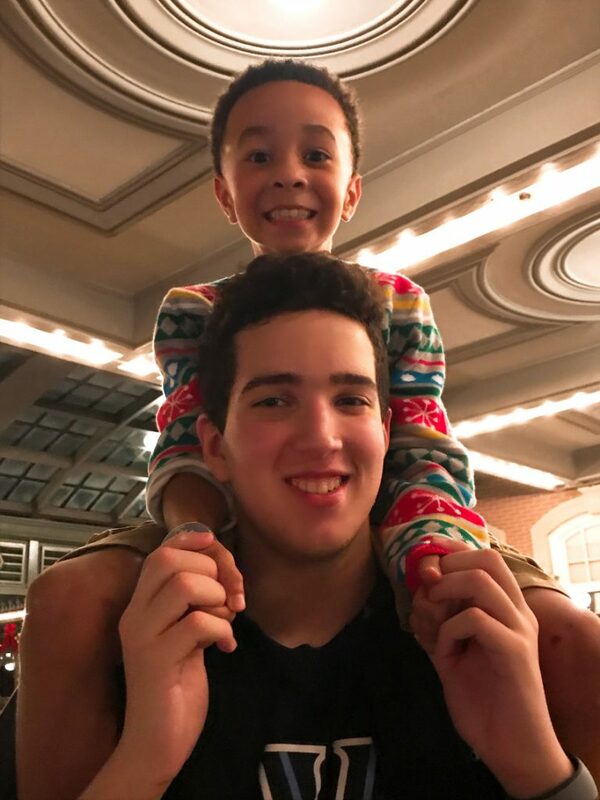 My son was so excited and enjoyed so much, that I’ve decided to share our experience with families which potentially considering booking it, but are not sure if if their teens will like it or not! Yes! As we’ve entered Magic Kingdom, we were paralyzed by the fact that it was 89F and it was snowing! 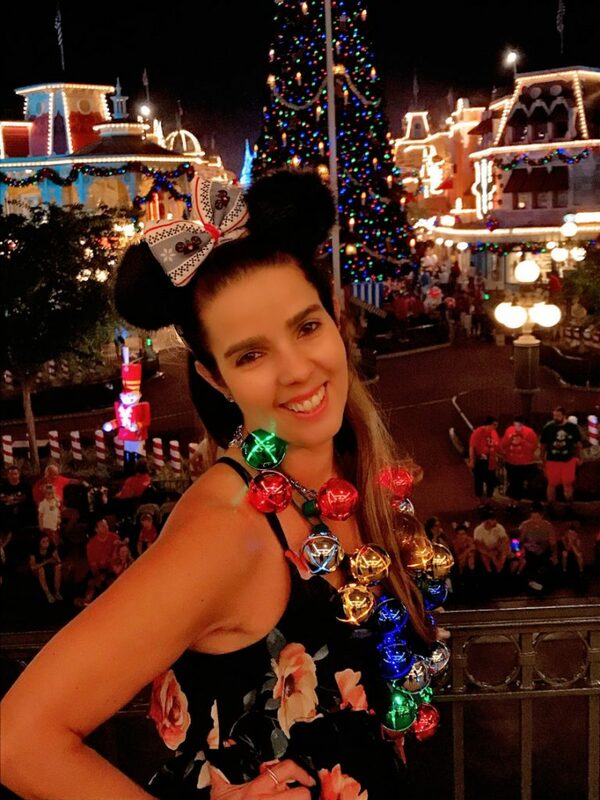 You already know that Walt Disney World is my happy place, but it was my first time being there to enjoy all the magic that spending the holidays at WDW has to offer! The fact that my son was so happy enjoying all it, put an even bigger smile on my face! 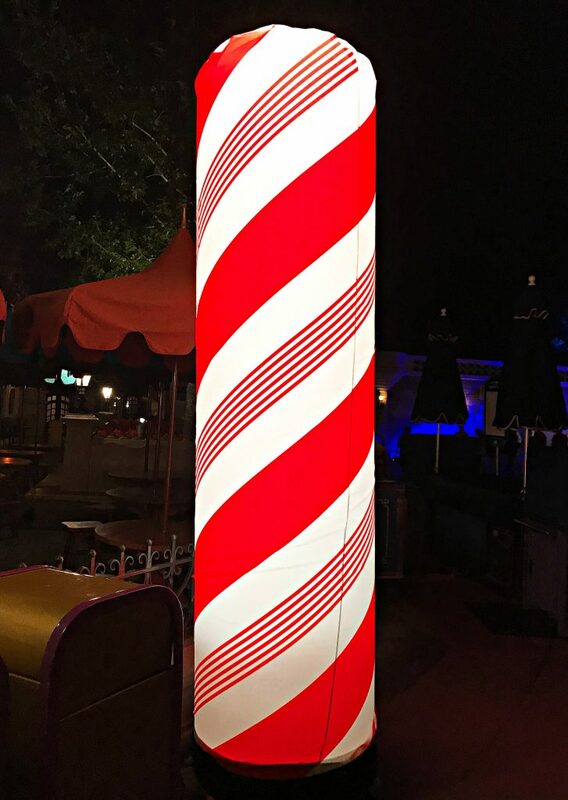 Just follow the candy cane signs and you will discover a wonderland of treats and surprises all through the park! 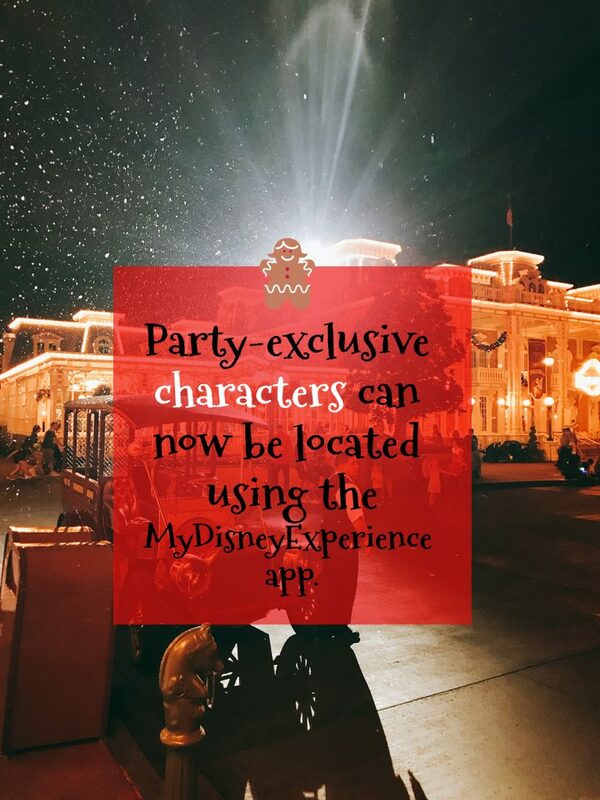 Several complimentary treats are included with admission to Mickey’s Very Merry Christmas Party. Needless to say, my son was super happy to explore and find some of those locations, “so we can take pictures, mom!” :), I said: sure! We have such a busy life! I had been traveling non stop and my son’s schedule also makes our family time something we look forward to have! We don’t have any family around, so Christmas time for us, usually means, quiet time at home! I was so happy to see my teen, who is the king of: not cool, mom! 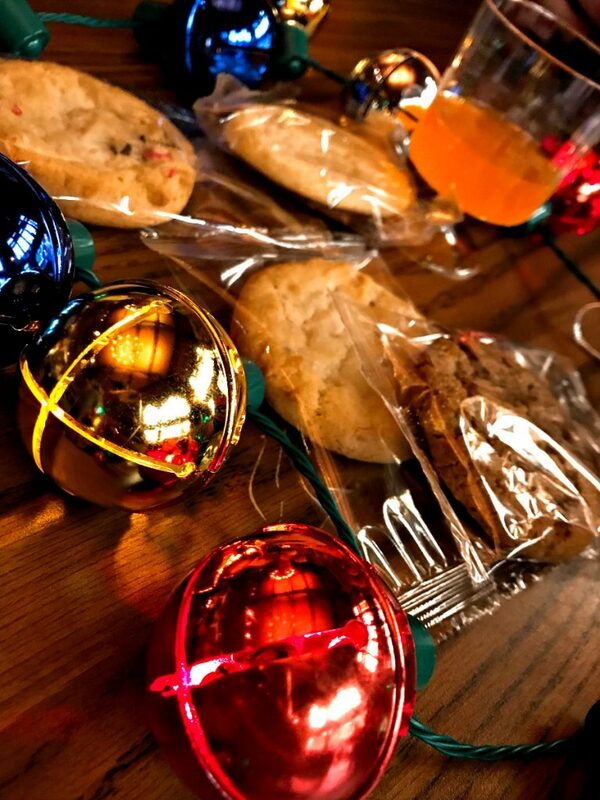 Who not only had a chance to enjoy Holiday time with us, but also made new friends and had a unique first encounter with loud, busy, happy holiday get together! 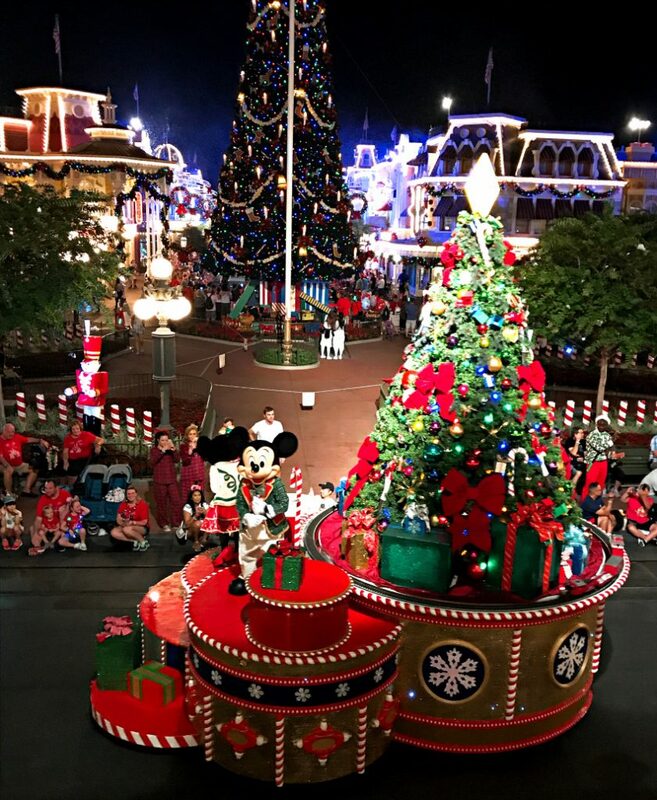 A Frozen Holiday Wish – 6:15 p.m., 8:15 p.m.
Mickey’s Most Merriest Celebration – 7:40 p.m., 9:25 p.m., 10:30 p.m., 11:55 p.m.
Mickey’s Once Upon a Christmastime Parade – 8:30 p.m., 11 p.m.
Holiday Wishes—Celebrate the Spirit of the Season – 10 p.m.
A Totally Tomorrowland Christmas – 7:45 p.m., 8:35 p.m., 9:25 p.m., 10:45 p.m., 11:35 p.m. 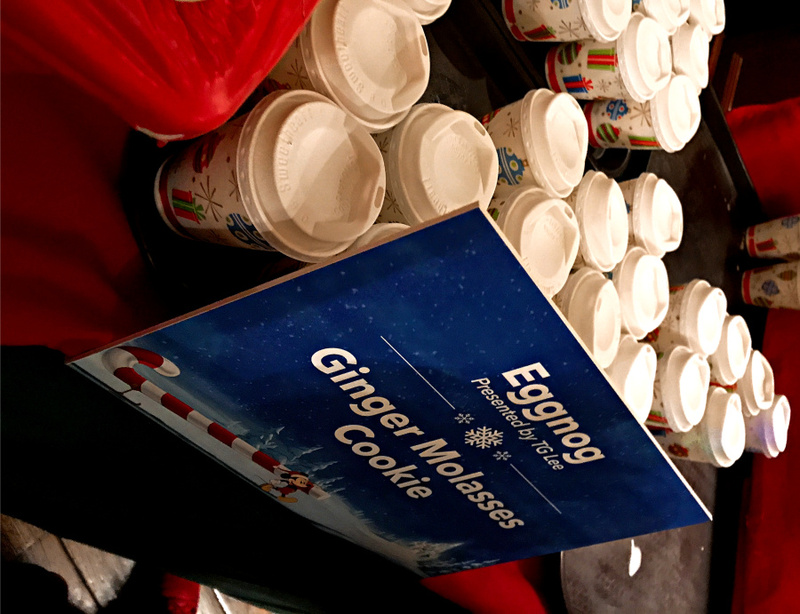 The Edge Effect – 8:10 p.m., 9 p.m., 10:20 p.m., 11:10 p.m.
Club Tinsel – 7 p.m.-12 a.m. If you’re like me, you look at your teen and all you see is mood swings, clothing and gadget requests and endless technology breaks, to hang out with friends! You basically wish them to be little again, so you can have them by your side and do things together! At Disney I didn’t even had to ask! 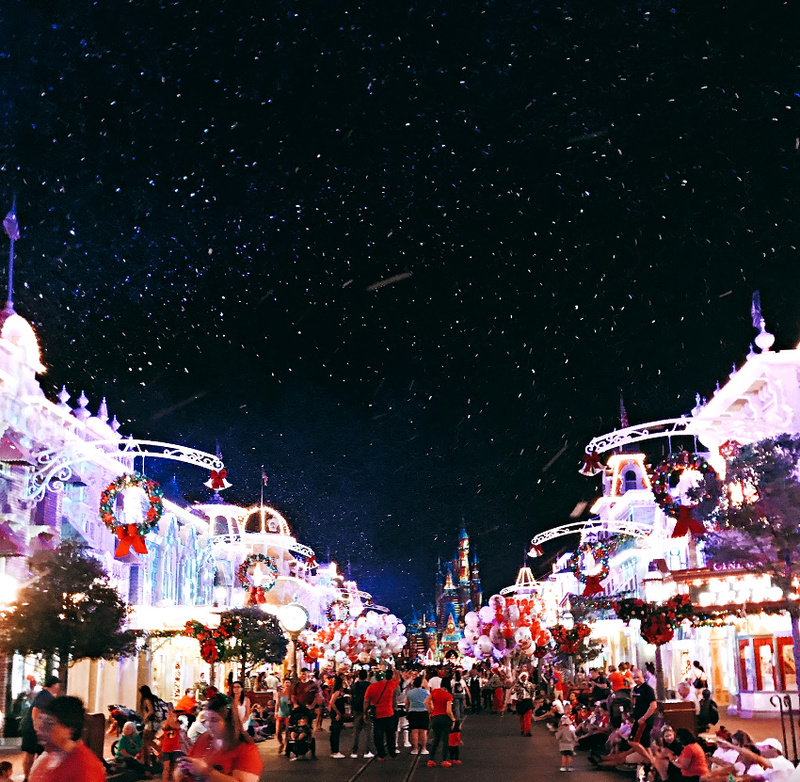 These are just some of the many reasons why we are already planning coming back to Disney in 2019 and enjoy Holiday time at the parks! It became a family tradition for us! 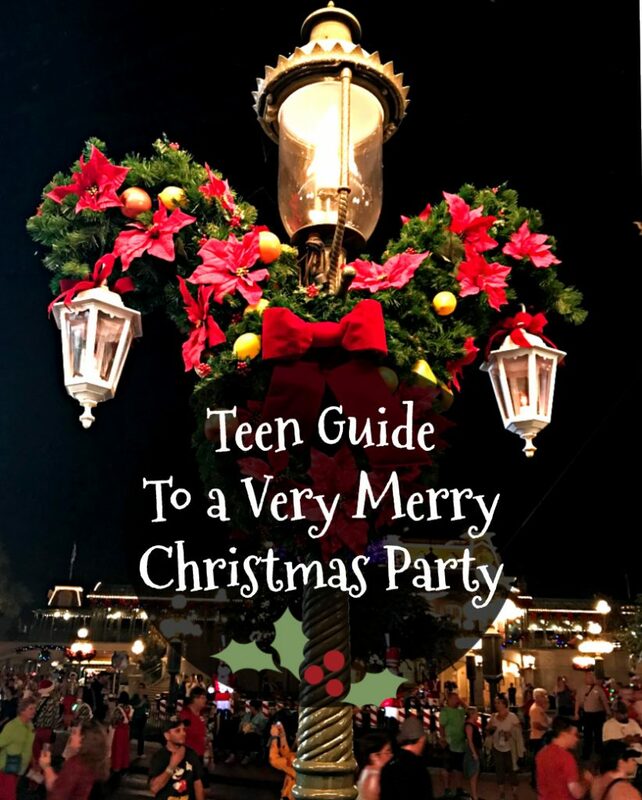 New memories we made with our teen, thanks to Mickey’s Very Merry Christmas Party! Love it? Want to share with a friend, so they can too, can make unforgettable memories? All you have to do is click on the image below! 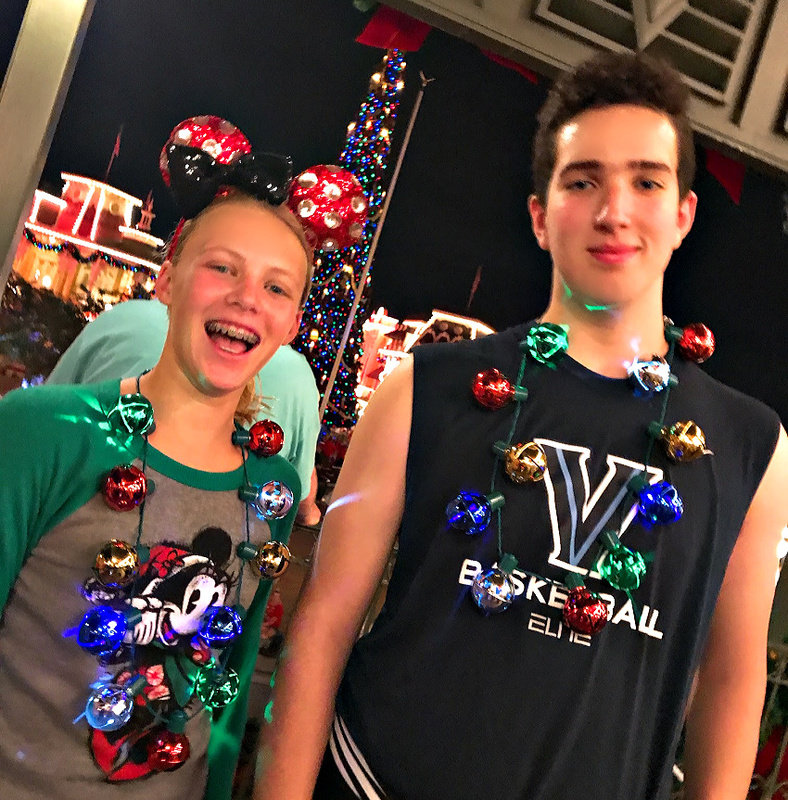 You can see other trips to Disney with our Teen HERE.